Making sure an advertisement appears in the right place is harder now than it has ever been. New sites that publish content considered controversial, inflammatory, propogandic, or that otherwise do not align with the values of mainstream brands are created en masse everyday. In recent years, an alarming amount of this type of content has gone viral on social media, making these sites seem more legitimate and more difficult for readers and advertisers to identify as being untrustworthy or controversial. These “bad” sites have had many far-reaching consequences across society, including among advertisers. In an effort to curtail the negative impact of these bad sites, many have targeted companies that run ads on those sites, in the hopes that they’ll pull their ads, and thereby diminish revenue that drives the creation of these bad sites. However, as this article will show, simply pulling ads from untrustworthy sites isn’t always enough for advertisers to avoid negative press. In December of 2016, Kellogg’s received calls from customers reporting they had seen the company’s ads on the controversial news site, Breitbart. The company was using programmatic online ad buying, and because these programs can place ads on thousands of sites, they were not aware of their placements on the site. Kellogg’s was placed on a public list of companies with ads on Breitbart’s site, created by activist groups pushing for brands to remove their ads from the site. Kellogg’s responded to this negative press by removing their ads from Breitbard, explaining their decision by saying Breitbart did not line up with the company’s values. However, upon learning of Kellogg’s removal of ads from its site, Breitbart counteracted and started their own boycott campaign, #DumpKelloggs. In a short span of time, Kellogg’s had encountered backlash and threats of boycotting from both liberals and conservatives alike. Supporters of Breitbart took to Twitter in their boycott of Kellogg’s. Though Kellogg’s’ marketing department likely never had any intention of involving itself in politics, its failure to monitor the types of news sites on which it was advertising thrust the company into controversy, resulting in multiple negative PR campaigns. Had Kellogg’s been proactive in monitoring the sites on which their ads were running, they could have avoided the ire of liberals and conservatives alike and probably would have avoided these controversies altogether. 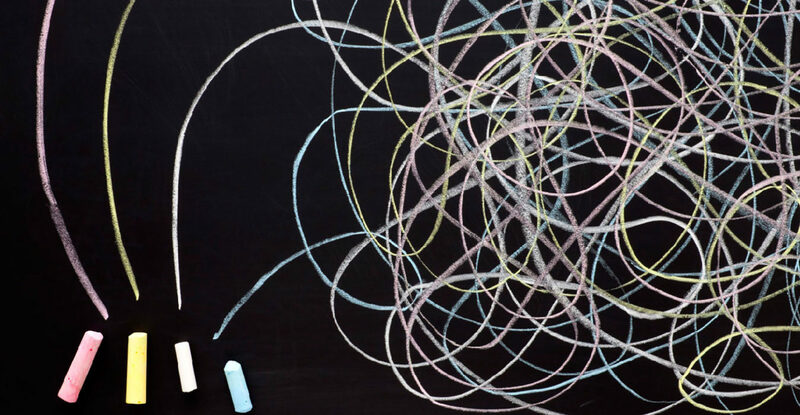 At this point, you might be thinking, “If this problems arises from automation, how do I fix it without ditching programmatic ad buying altogether?” One of the the best solutions so far has come from advertisers at JPMorgan Chase. JPMorgan Chase’s story began similarly to Kellogg’s’. Through programmatic ad buying, Chase’s banner ads were showing on around 400,000 sites. The company realized that some of those placements were on “bad” sites and controversial YouTube videos. In response to this issue, Chase turned to a tactic called whitelisting. As its name would imply, whitelisting is the opposite of blacklisting. Rather than finding bad sites and creating a list banning them, whitelisting goes the other direction by narrowing down good sites that a company wants to advertise on and putting those sites into a list. The advertiser will then only advertise on that list of good sites. Blacklisting has been tried by many companies, but with countless new “bad” sites appearing every day, this retroactive method puts advertisers in a constant state of catch up and vigilance. Alternatively, whitelisting is proactive and virtually eliminates the risk of an ad popping up on an undesired site. The possible downside to this tactic is that it drastically reduces the amount of sites a company advertises on. Chase now advertises on about 5,000 sites, five percent of the sites it advertised on before whitelisting. However, the actual marketing effect of this approach is less significant than one may think. Chase has reported that switching to whitelisting has not compromised its campaign performance metrics, including conversion rates and costs per acquisition. Targeting the right site, and not just the right consumer data, is likely important in seeing these positive results. Another advantage of whitelisting is that it’s relatively simple to implement. 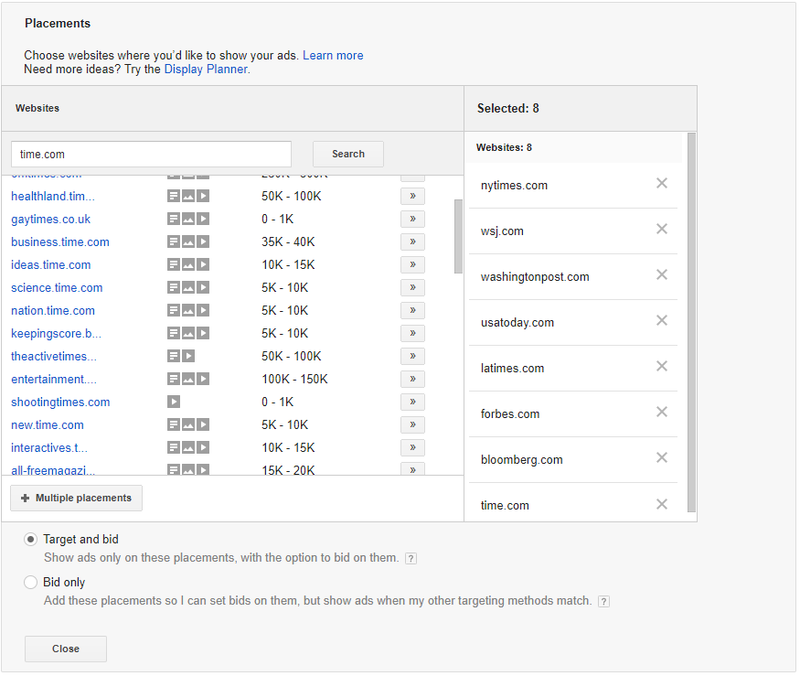 For ads running on the Google Display Network, this tactic can be achieved using the managed placements tool. Managed placements allow advertisers to select specific sites and or apps for their ads to appear on. Using this tool is a departure from normal placements, which generally target audiences based on various demographics like interests, age, gender, etc. To set up a managed placement for a chosen list of sites, one needs to choose the option “Target and Bid,” instead of “Bid Only,” under the display settings. The “Add Targeting” feature allows you to choose new managed placements. Make sure to set bid strategy to “Target and Bid”. Deciding which managed placements to add to your advertising whitelist can be difficult and will vary extensively depending on your site and audience. However, once you’ve established a target list, technology can help to ensure the strength of your approved sites. For example, the B.S. Detector is a popular browser extension that alerts you when your browser has navigated to a site it deems untrustworthy, which can help you to evaluate the quality of that site. As evidenced by the challenges faced by Kellogg’s and Chase, “bad” sites have caused problems for many advertisers, regardless of industry. In addition to the impact these sites can have on advertisers, one of the biggest takeaways from these controversies is that artificial intelligence can often only go so far in online advertising and digital marketing. As advanced as automation may be in modern media buying, some of advertising’s biggest challenges still need to be solved with some good old fashioned human intervention. Whitelisting exemplifies this type of human intervention, and considering Chase’s success, many advertisers should consider it as a tactic going forward. In a time when computers are beating grandmasters at chess and returning higher stock returns than fund managers, there’s still some things that are obvious to a human but remain beyond a computer’s ability to recognize.